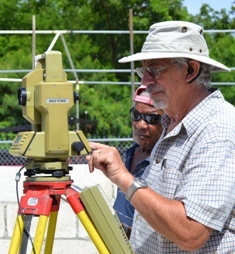 (CNS): The UCCI’s goal to open an observatory on the campus has taken another important step forward after an expert local land surveyor defined a True North – South line on the concrete slab where the telescope will sit, recently. Chris Evans, of Evans & Associates, Licensed Land Surveyors, who admits to having an interest in the subject donated his time recently to establish this important fact at the start of construction of the “Reach for the Stars” project which gets underway this month. One half of the building will be a classroom and the other will house a 12.5" fully computerized reflector telescope and in order for it to operate correctly it has to be accurately orientated. (CNS): The chair of Cayman Finance and the organisation’s representative in London have both dismissed the findings of the Financial Secrecy Index, published in the UK capital on Tuesday by the Tax Justice Network and Christian Aid. Richard Coles and Jack Irvine both claim that the authors of the report are advocates of global taxation (once referred to by former Cayman Finance Chair Anthony Travers as the "Tax Taliban") who are not taken seriously. Within some 36 hours of the publication of the report, which found that Cayman was the second most secret financial jurisdiction in the world and played a key part in the global financial crisis, it was posted on the websites of more than 70 different international media organisations. "It beggars belief that the Tax Justice Network still produces these canards about the Cayman Islands,” Richard Coles said in the wake of the report’s publication. “We have never been more transparent and we have never had so many tax treaties with other jurisdictions. What is deeply worrying is that some sections of the UK media take Messrs Murphy and Christensen seriously. These men are high taxation zealots and like the OECD they see nothing immoral in governments taking half or more of a man's salary,” Coles said, adding that they would not be happy until there was a universal global tax rate. The CF chair said they had failed to notice that the harmonisation of the European Union was what he called a “fiscal disaster” and he believed the “individuality of Cayman in taxation matters should be applauded not vilified." His comments were echoed by Jack Irvine, the London based advisor to Cayman Finance, who liaises on their behalf with HM Government, the media and Cayman’s London office. Irvine described the secrecy index report as the “same tired old song” that the Tax Justice Network have been turning out for years. The TJN is actually an alliance of a number of individuals and a non-aligned coalition of researchers and activists with a common interest in what they believe are the harmful impacts of tax avoidance, tax competition and tax havens. Murphy is just one of the individuals who blogs regularly on the subject. The secrecy index, which ranked Cayman as the world’s second most secret jurisdiction, was written and researched by seven people, including John Christensen, who is the director of the Tax Justice Network International Secretariat and the former economic adviser to the States of Jersey. 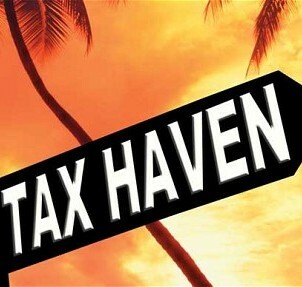 Nicholas Shaxson, the author of Treasure Islands: Tax havens and the men who stole the world, was also one of the seven members of the team, along with Richard Murphy, who is a chartered accountant and director of Tax Research LLP. The London based rep for Cayman Finance said he believed that the families in lesser developed nations were deprived of aid as a result of corrupt dictators. Irvine didn’t comment on the stories run by the Daily Telegraph, known as a more politically right wing daily newspaper, or those in other more neutral news houses, such as Reuters and Bloomberg. Within 36 hours of the publication of the report, some 70 different news and business websites had posted the findings of the TJN’s research and in particular the special report about Cayman and what the TJN said was its role in the financial crisis. The Telegraph reported that a treasury spokesman has said the UK government was committed to tackling all forms of tax avoidance with an emphasis on tackling avoidance at the root. The UK government would be keeping up the momentum as he admitted more needed to be done. (CNS): The government of Trinidad and Tobago has made a significant move in the goal towards the conservation of sea turtles with a complete ban on fishing and killing of the marine creature. The approval by the country’s Cabinet of an amendment to the Fisheries Act this week will protect all the species of turtles common to the islands. Food Production Minister Vasant Bharath said the amendment was a landmark piece of legislation which prohibits the killing, harpooning and sale of turtles. The Wider Caribbean Sea Turtle Conservation Network said the year-round ban on the hunting of all five locally occurring sea turtle will take effect this month. The Fisheries Act now states that: "No person shall, at any time, kill, harpoon, catch or otherwise take possession of any turtle, or purchase, sell, offer or expose for sale or cause to be sold or offered for sale any turtle or turtle meat." Several important nesting beaches are already under federal protection, and well-developed ecotourism offerings at some of these sites offer successful models for integrating sea turtles into local economies in ways that do not involve killing. 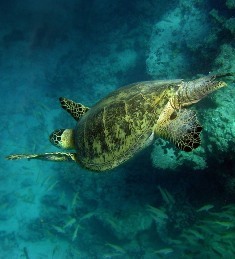 The new legislation follows two years of community meetings to discuss the issue, and implements the recommendations of several national and regional assessments implicating "outdated sea turtle regulations that ignore the basic principles of sustainable use" as being a threat to the nation's management of its sea turtle resource, the turtle conservationists said. The new moratorium brings Trinidad and Tobago into compliance with the Protocol to the Cartagena Convention concerning Specially Protected Areas and Wildlife (SPAW), to which Trinidad and Tobago is a Party. Article 11 of the Protocol declares that each Party "shall ensure total protection and recovery to the species of fauna listed in Annex II." All six species of Caribbean-occurring sea turtles were included in Annex II in 1991. Antony Ramnarine, Conservator of Forests, credits community-based groups for keeping pressure on government to adopt the stricter policies. "For decades now," he says, "our communities, many of them in close partnership with the Forestry Division, have patrolled the nation's nesting beaches, collected data to inform our debates and decisions, and engaged in public awareness. The longevity of these efforts is also a credit to the regional WIDECAST network, which has provided community groups with training, publications, and encouragement for many years and assisted us in development of our first national sea turtle recovery plan." Following moratoria recently implemented in Cuba (2008) and The Bahamas (2009), Trinidad and Tobago joins the large majority of nations in the Western Hemisphere that protect sea turtles year-around. Of the more than 40 sovereign and territorial governments in the Wider Caribbean Region, only Haiti, the UK overseas territories, including the Cayman Islands, and the six independent nations of the Organization of Eastern Caribbean States (OECS) still sanction an annual open season on sea turtles. (ITTimes): Asia is fast becoming a hot spot for patients traveling overseas for affordable, medical services. As Thailand, Singapore, Malaysia and India, work to become medical tourism destinations with special plans and strategies South Korea has boosted its efforts to be among the leaders. With its aim to become a 'Medical Tourism Hub' in Northeast Asia, Jeju, which is well known for its beautiful and clean natural environment, is transforming itself into a medical destination for foreign patients with the establishment of Jeju Healthcare Town. According to a Ministry of Health and Welfare report, the number of foreign patients visiting Korea has sharply increased. Korea treated 27,480 foreign patients in 2008 and the number more than doubled in 2009 to 60,201. In 2010, 81,789 patients from abroad received medical treatment in South Korea, 36% more than a year earlier. As a result, the country is on the rise in terms of medical tourism. The project operator, Jeju Free International City Development Center (JDC), has set aside a 1,539,013m² site in Seogwipo to build Jeju Healthcare Town. The planned investment scale of the project, expected to be completed by 2015, is approximately USD 830 million. (CNS): Not having a berthing facility for larger cruise ships has been devastating to Cayman’s tourism product, industry members have said. Recent statistics from the ESO reveal that for the first six months of this year, cruise visitors declined by 3.4% compared to 2010. The latest figures from the DoT paint an even worse picture with cruise arrivals falling by 32% in July compared to last year. Trina Christian-Savage, Executive Director with CITA says if Cayman had a berthing facility in place the country would not be in this position. “The harsh reality is that we don't, and there is no indication that we will any time soon which is devastating to this segment of our industry,” she told CNS. Brynley Davies of The Image Group, a company actively involved in the cruise industry with membership on Cayman’s Association for the Advancement of Cruise Tourism, recently attended the Seatrade Europe show, the largest cruise-related show aimed at the European market where he said it was interesting to see things from a purely cruise line perspective. Davies explained that cruise schedules are planned two to three years out and therefore the problems the Islands are seeing now are exacerbated by the fact that Cayman have had long terms failures in developing the cruise product from different governments. By comparison, the port of Falmouth in Jamaica won the Seatrade port of the year and now has confirmed business going forward for many years. Christian-Savage added that the Cayman Islands Tourism Association continues to reach out to government to ask where Cayman is at with this latest deal and the most recent news stated that an agreement should be finalised by November. 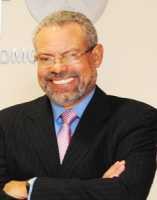 “What that agreement entails exactly we do not yet have the specifics of. If we cannot afford to do the plan to the full size that has been proposed by the last few developers, then private sectors has continued to suggest an option of one pier for berthing. Ultimately whatever agreement government enters into, CITA's support is contingent on the results of the EIA,” she added. Meanwhile, the latest statistics from the ESO show that air arrivals are at least sustaining the country’s tourism product but more needs to be done the CITA spokesperson warned. Air arrivals increased during the first half of 2011 by 8.0% but Christian-Savage said this wasn’t down to any single thing. “I don't think we've done anything that is earth shattering different in our marketing, although the strategy and media plan remain solid. The Department of Tourism and CITA's partnership is the strongest it has been in years which enables us to act in a smarter, more efficient way when we can support each other with international promotions that align with the needs of private sector,” she said.. Going forward, she said that the private-public partnership has continued to hone in on specific periods that have historically been soft and CITA recently met with Cayman’s national airline to discuss ways in which they can work better together. “They have opened the door to the private sector for our views on which markets we would support if additional lift were to be added,” she revealed. The Ritz-Carlton’s communications director agreed that the Canadian market was important as visitors had the longest length of stay and highest spend of any market for peak travel periods. “The addition of the WestJet route is a textbook example of how additional airlift from a market with latent demand directly stimulates the economy well beyond the arrival numbers,” Melissa Ladley said. (CNS): Giving people the option to work in Cayman for ten years will allow the country, not employers, to decide who moves on to Cayman status, Business Staffing Plan Board Chairman Danny Scott has said. “I firmly believe that every country should be able to reserve the right to expand its population base,” Scott told CNS. “But the system of key employee, which leads to permanent residency, which leads to citizenship, gave away the country’s right to decide who stays here.” An amendment made to the immigration law last week will now allow employers to apply for permits for their workers for up to ten years and to work through the eight years needed to enable them to apply for residency. The categories of jobs and professions has not yet been revealed but for those that are eligible the move will allow those workers to apply for PR without the need for their employers to make a key designation application, which Scott says puts an important decision back in the hands of the people. He said that having employers make the decision in the first place as to who is key to their business was not the right way to decide on future citizens of the country and called it a “flawed approach”. The board chair said he did not mind how the law was interpreted with regards to whether one or two year permits were applied for up to ten years, or whether it was a six year and then a four year permit system. Scottalso believes it does not matter what occupations are to be singled out specifically for the ten year time frame, as he said that was up to the politicians. Having a ten year time frame in place would allow people who truly want to remain in Cayman and take upCaymanian citizenship the opportunity to make an application. “This means that if they get to ten years and they want to stay here then they can make an application. If they fail to do so they can get on a plane and leave,” Scott said, adding that the bar ought to be raised as to who got permanent residency. At the moment we have created a path for individuals that cannot be avoided: people get the points, buy the property and get permanent residency, he said. The opposition leader has also advocated that the country turn its attention to the permanent residency as the place where, he said, echoing former minister Dr Frank McField, the country engages “in its social engineering” and makes the decisions about who should and should not get to settle in the Cayman Islands. During last week’s debate on the latest changes to the immigration law, Alden McLaughlin warned that by only suspending rollover with the introduction of more new permits, the immigration issue was being further complicated. He said government should abolish the term limit for all and allow every person who stays in Cayman for eight years to apply for permanent residency and those that don’t should leave the country once they have been here ten years. He said that if everyone gets the chance to apply for PR then the criteria had to be clearly defined and fair with the bar positioned not too low or too high in order to ensure that a balance of different people would get through. McLaughlin also stated that it was time to do away with the boards and to introduce a transparent and auditable administrative system to handle the country’s crucial immigration issues. (CNS): As part of the celebrations for the United Nations Educational Scientific and Cultural Organisation’s World Teacher’s Day Every, the education minister is asking the community to stop and say thank you to Cayman’s teachers. 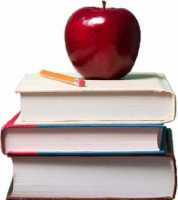 Rolston Anglin said that many of us can still remember at least one teacher who made a lasting impression on our lives. “We often forget, however, to stop and simply say thank you or to show our gratitude for the life-changing impact they’ve had,” he said as he encouraged parents andthe wider community to join him in thanking teachers. “Our goal for a high quality public education system that will ensure every child succeeds starts with motivated and knowledgeable teachers. They are at the centre of the process,” he added. Anglin said parents must work closely with their children’s teachers as their participation in children’s education was a major factor in guaranteeing their success. World Teachers’ Day is observed by more than 100 countries globally on 5 October when teachers across the globe are celebrated by their employers, students, parents, communities and teaching organisations. The day has been observed annually since1994 as World Teachers’ Day, after UNESCO adopted the “Recommendation concerning the status of teachers”. This year’s theme is 'Teachers for Gender Equality'. Observed in conjunction with Education International (EI), the day is used to celebrate and promote international standards for the teaching profession. Both organisations also aim to mobilise support for teachers and to ensure that the needs of future generations will continue to be met by the teaching profession. 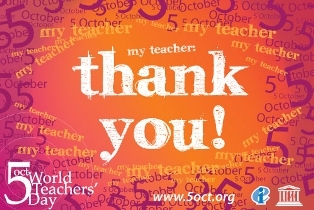 Students and community members may share photos of their World Teachers’ Day celebrations or send e-cards to teachers from www.5oct.org. Information on this year’s theme, as well as the annual celebration’s history, is also available there. Politicians like to claim credit for positive things that have nothing to do with them, and to deny responsibility for negative things that are entirely within their control. The politics of deterring and punishing violent crime is no exception. Contrary to self-serving public statements by politicians that seek to point to others as being responsible for all aspects of controlling the activities of violent criminals in our community, it is our elected government that sets the penalties for crime and it is entirely the fault of the elected government when the sentencing parameters specified in criminal law do not adequately provide for the deterrence and punishment of violent crime. Politicians may try to avoid their own responsibility by suggesting that judges are to blame for sentences that do not appear adequate. No one should be fooled. Judges impose sentences within the parameters provided for in legislation enacted by politicians. When politicians enact criminal laws or leave criminal laws on the books that in effect say, “Punishment for violent crime may be limited to a metaphorical slap on the wrist”, that is what will happen from time to time. When politicians permit rules that specify that a violent criminal who is caught in the act and therefore has no option but to plead guilty, receives an automatic one third reduction in his sentence for pleading guilty, that is both ludicrous and the fault of the politicians. When politicians permit rules that require that in almost all cases the sentences for multiple violent crimes are served concurrently rather than consecutively, therefore providing absolutely no deterrence for a string of violent crimes, that is ludicrous and the fault of the politicians. When politicians permit rules that provide for automatic parole when only a fraction of a sentence for a violent crime has been served, that is ludicrous and the fault of the politicians. If politicians were willing to take just a small amount of time to amend the criminal legislation which sets out sentencing parameters, all of these defects could be eliminated and fewer violent criminals would be on the street committing violent crimes. Politicians have failed to do this. We have witnessed many examples in recent months in which the elected government has passed legislation in a matter of hours using the justification that the legislation was necessary to provide an economic advantage to some group or other. These same politicians have failed to find the few minutes required to legislate corrections for our existing laws relating to the sentencing of violent criminals. Violent crime is destroying our country. Solving all of the problems related to violent crime is complex and requires each of us to do what is within our control. That includes elected politicians. The first responsibility of the elected government is to protect its citizens. Our government has so far failed to do what only they can do to deter and punish violent crime. Fixing defects in our legislation which permit or require inadequate sentences for violent crimes will not by itself solve the entire problem of crime in our community, but it is one part. It is the one element that our politicians have direct control over, and it can be done quickly and at very low cost. Each of us should consider why our elected politicians are failing to do what only they can do to ensure that sentences for violent crime both deter and punish violent criminals? (The Telegraph): Violent video games may actually reduce crime as aggressive players are "too busy" shooting virtual enemies to cause trouble in the real world, experts claim. Games such as Manhunt and Grand Theft Auto – where gamers rack up points or cash for killing or savagely attacking victims – are routinely blamed for a rise in violent crime. 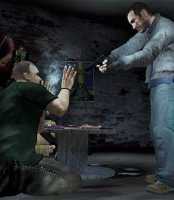 A spate of high profile murder cases have heard evidence that various games were 'to blame' for a string of killings. But a report, called 'Understanding the Effects of Violent Video Games on Violent Crime' by three respected academics has said it doesn't believe there is a link. The report argues that gamers are 'too busy' playing to cause much trouble in the real world. (CIFA): Bodden Town took top spot in the Cayman Premier League after they demolished George Town to claim their second successive Cayman Premier League win of the season. The youthful Bodden Town team are yet to lose a game, after starting off the season with a draw against Tigers. Bodden Town got off to a flying start by scoring in the opening 14 seconds of the game. Casey McLaughlin slotting the ball in the top left corner of the goal, after some creative build up play. The opening goal in the first minute set the tone for the rest of the game. George Town struggled to get a handle on the game, as a young Bodden Town team moved the ball around quickly and proved clinical in the final third. Arvid Harris of Bodden Town was the key component in everything that Bodden Town offered going forward. Harris exposed the slack defensive display from George Town, which left Lee Ramoon unhappy on the sidelines. Kareem James netted Bodden Town's second in the 36th minute. This was followed by Yefry Calderon, in the 55th minute, who cleaned up a re-bound and slotted home from 8 yards out, after George Town failed to clear their lines from a corner kick. Substitute Danu Smith chipped in with a goal and completed the rout in the 90th minute. 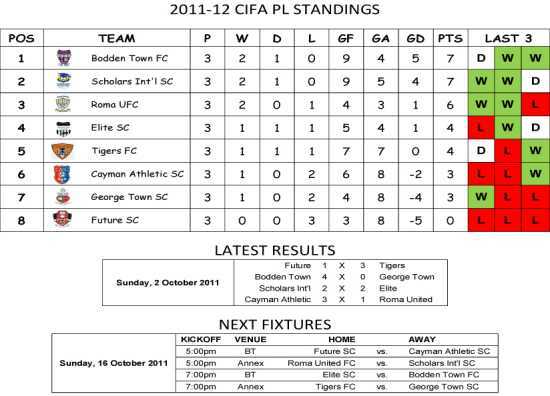 The 4:0 win takes Bodden Town to the top of the Cayman Premier League on goal difference. George Town drops down to seventh, after their second consecutive loss. Cayman Athletic picked up their first win of the season with 3:1 win over Roma United. Matthew Suberan opened the scoring for Cayman Athletic in the 7th minute. Unfortunately, Cayman Athletic was only able to hold onto their lead for eight minutes, as Kiegel Atkinson leveled for Roma United in the 15th minute. Kyle Santamaria restored Cayman Athletics lead in the 51st minute. Fabio Smith made sure Cayman Athletic would take all three points by scoring in the 84th minute. Head Coach of Cayman Athletic, Ernie Seymour, was glad to see his team gain their first points of the season. “The win against Roma was a good one for our young team. After losing the firstgame to Scholars 5:2, which we did pretty good in, because at one stage we were just losing 3:2 until we lost our legs due to a lack of match fitness and after losing a close game to Bodden Town 2:1 last week, I told my players that we had to work on our defense if we wanted to do well against Roma”. Coach Seymour encouraged his team to believe in themselves and that is certainly what they did Sunday. His pep talk did wonders as the Cayman Athletic defense, which was better organized and their attackers scored three goals on a Roma team who had yet to concede a goal going into week 3. Coach Seymour was quick to praise his young players after the game: “I could not ask for more from them. As a young team, they deserve any praise that they get right now. Roma is a good team, and I hope this win over them could be a motivational factor for our players going forward into the remaining fixtures. We will continue to work on our strength and weakness to improve our level of football. We have a lot of talented young players that could achieve a lot through football if they just stay focus and believe in themselves and the people who are helping them to do the right thing. There will be more wins, more defeats and draws, but we just have to keep trying to improve our level”. Cayman Athletic will face Future after the international break. Elsewhere in the Cayman Premier League, Tigers FC beat Future 3:1. Thsi is Future’s third consecutive loss, which leaves them rooted to the bottom of the table. Miguel Simms led the way for Tigers who posted their first win of the 2011/2012 season. Simms scored in the 40th and 57th minute, Zico Lewis added a third for Tigers in the 60th minute. Future’s Denver Barnes consolation goal in the 80th minute did little to effect the outcome of the game. Six yellow cards and one red card were handed out in a physical contest at the Ed Bush Sports Complex in West Bay which saw reigning Premier League Champions Elite match up with an impressive Scholars International team who had gotten off to a great start to the season with two consecutive wins. Scholars took a 2:0 lead into the locker room at half time, thanks to strikes from Dave McLaughlin and Aldene Forbes. The second half started much as the first half had ended, Scholars looked to be cruising to their third straight win of the season. This was until Carson Fagan was issued a red card in the 52nd minute. Fagan’s sending off seem to inspire Elite who wasted little time exposing Scholars who had to battle on a man down for the second week running. Clement Patterson got one back for Elite in the 62nd minute breaking Scholars resistance. Elite were making the most of their man advantage as they controlled the majority of the possession in the last twenty minutes of the game, and they made their possession count as Dwayne Wright equalized in the 72nd minute completing the comeback. The Cayman Premier League will take a break from action this weekend and return on Sunday, 16 October 2011, as the Cayman Islands Senior Men’s National Team face Suriname on Friday night at 7.30 p.m. at the Truman Bodden Sports Complex in a 2014 FIFA World Cup qualifier before departing Sunday to face their toughest test to date in San Salvador on Tuesday, 11 October 2011 as they take on El Salvador.